The Beach House is an exciting restaurant concept located beside the Holiday Inn Resort on Jekyll Island, Georgia. This beauty sits just yards away from the beach with breathtaking views of the Atlantic. Beach House has an upbeat atmosphere where you can relax, unwind, and enjoy by the sea. 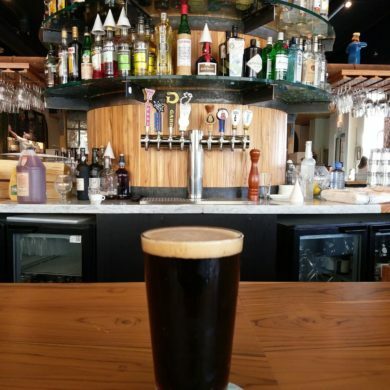 They specialize in fresh local seafood and Artisan pizzas complemented by hand crafted soups, salads, appetizers, and of course craft beer! The wide variety of menu selections will keep you coming back for more. 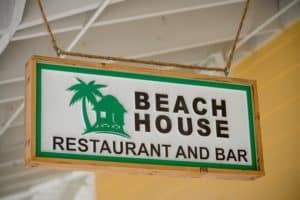 Serving breakfast, lunch and dinner, Beach House is also be available to host private parties and dining events. In addition to great food, you can enjoy live entertainment, an indoor 12-foot shuffle board table and outdoor bocce ball lawn. 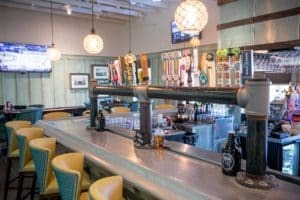 The full wrap around bar features one of the largest draft beer selections in Southeast Georgia. 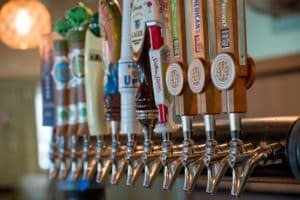 The Tap Room features 24 draft beers, including an array of craft brews that can be expertly paired with food selections. 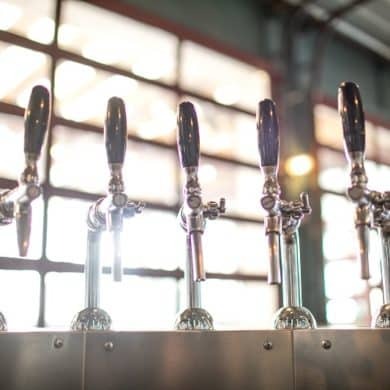 You can check out the current tap selection here. They take pride in having a wide variety of regional craft beers, always rotating. If you are overwhelmed by the amazing variety, the Beach House has the perfect solution. They offer flights with the added bonus of growlers. When you find your favorite flavor take some home to hold you over until your next visit. 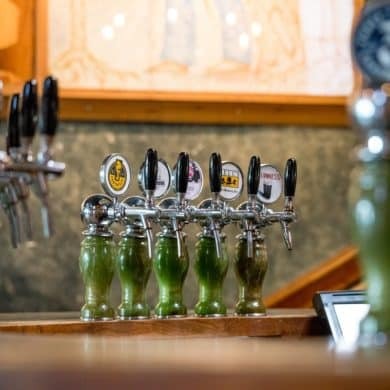 You can always count on Draft Beer Services for the most amazing professional bar designs to take your customer’s experience to the next level.